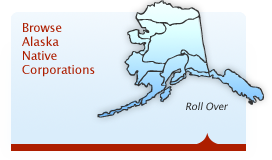 Every Alaska Native corporation (ANC) and many Tribal businesses started a company without having a business. Businesses are usually created because a product or service provides value and attracts paying customers. Behind the product/service is an extremely talented individual or group which brings the product/service into existence. 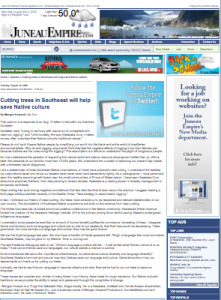 Regardless of available talent, Native enterprises first created a business then searched for a product or service. This is business development in reverse. I currently serve on two Native enterprise boards, one is an Alaska Native village corporation board and the other is a Tribal enterprise board. There are major differences between the two business entities with the major one being land ownership. The ANC has land and the Alaska Tribal business does not. However, both entities seek to start and grow new businesses for the benefit of their tribal members and shareholders. Many village ANCs and Tribal businesses attempt this with little to no capital. I attended one of Senator Murkowski’s community meetings on the “Southeast Alaska Native Land Entitlement Finalization Act” in person and listened to several more online. I’ve also read many of the letters to the editor in the Juneau Empire. I’ve noticed an alarming trend in those who speak in opposition to the Haa Aaní Bill. One gentleman from Edna Bay wrote an “OPEN MESSAGE TO SEALASKA CORPORATE EXECUTIVES” and several other comments in the Juneau Empire where he espoused a continuous chant of “corporate greed” in relation to Sealaska. I am not a corporate executive, but as a tribal member of Sealaska, I can no longer stand by while people like him take advantage of the anti-corporation sentiment of the day to denigrate Alaska Natives, simply because of their congress-mandated designation. Is Entrepreneurship alive in Alaska? The forum entitled “Showcasing Solutions: Strengthening Alaska’s Entrepreneurship and Innovation” occured Thursday, October 29, 2009 in Anchorage. The invitation letter to the conference began with “Alaska has a long tradition of innovation. Articulating new and better ways of doing things is part of the Alaska vision…” – I hear that said all the time about Alaska and it’s not true. NEW GAME . 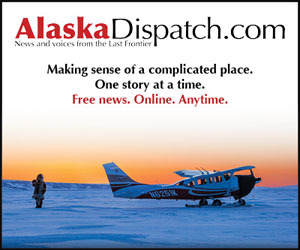 . . Earwigs report Alice Rogoff, an Outside zillionaire with an interest in Alaska Native art, has bought Alaska Dispatch, the news Website started last year by Tony Hopfinger and Amanda Coyne. 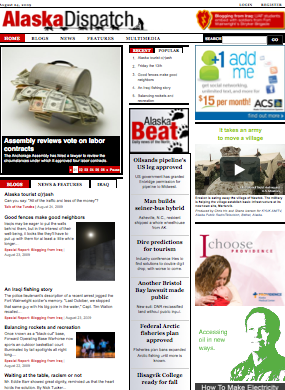 (www.alaskadispatch.com). Rogoff, who is being called co-owner, will be the publisher while Tony remains editor. Now in the process of expanding, Dispatch has hired Channel 2 reporter/anchor Jill Burke — maybe the best TV reporter in town; Maia Nolan, one of Ear’s favorite local bloggers; and News-Miner reporter Rena Delbridge. For more than ten thousand years, Alaska Natives owned vast expanses of land from which they prospered. Incrementally taken from them for over two centuries, they would have to fight to gain back the land. At the turn of the twentieth century, Alaska’s indigenous people formed political organizations, learned Western law, and used the U.S. legal system to fight for their Native lands. 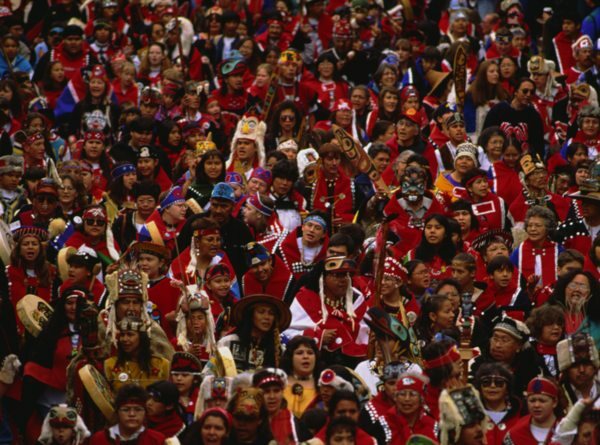 The diverse Alaska Native cultures joined forces and fought to finally receive some of their Natives lands back from the United States Government. The Alaska Native Claims Settlement Act (ANCSA) passed and started the boldest socioeconomic experiment ever attempted in the history of the United States. NATIVECO.COM is the continuation of this story – and the outcome – of that extraordinary fight.